2) You will see a box with two tabs. One says "Sign In" and one says “Create Account”. Click on the tab that says “Create Account”. 3) Click on the “Create Account” in the blue rectangle after the text in the bottom right corner of the box. 4) You will then be taken to the page where you can create an account. Please fill out the information at the top of the box titled “Parent Account Details”. 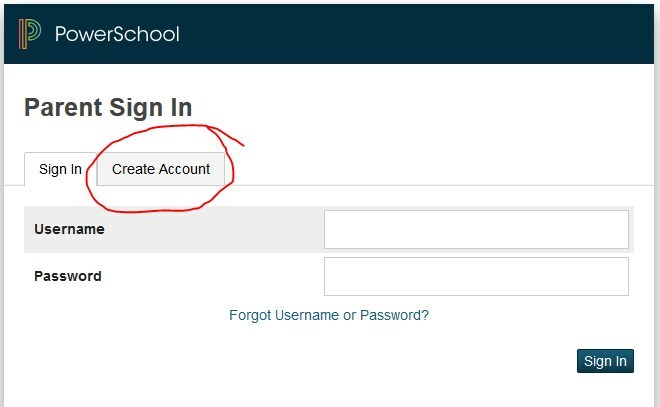 This area allows you to create your own username and password for your account. Please, DO NOT PUT IN THE ACCESS CODE AND PASSWORD IN THESE BOXES. 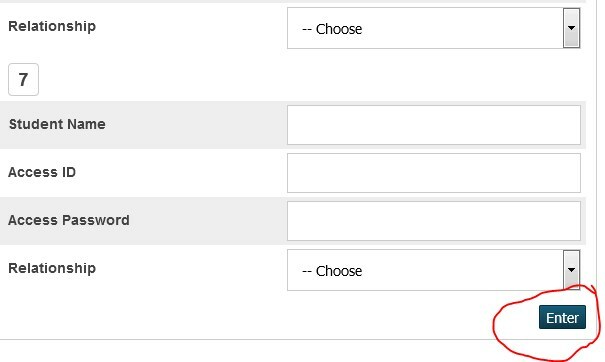 These boxes are for you to create a username and password of your choice. 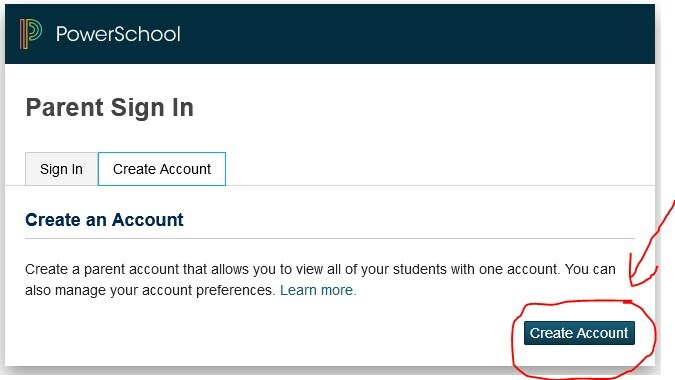 5) Scrolling down, you will see “Link to Student’s Account”. 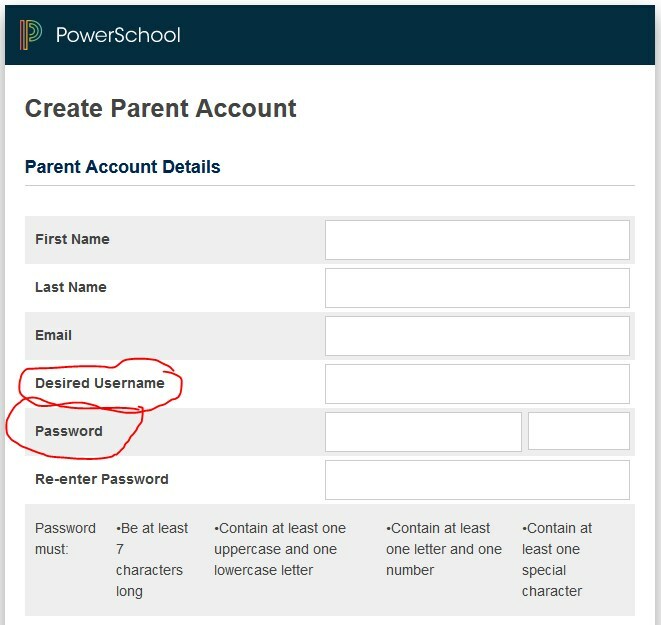 This is where you enter your child’s name, your access ID and access password. On the letter you received, there are two sets of access ID and passwords. The parent’s is the one closer to the top of the page, in the body of the letter. Please DO NOT enter the student access ID and password located at the bottom of the letter. 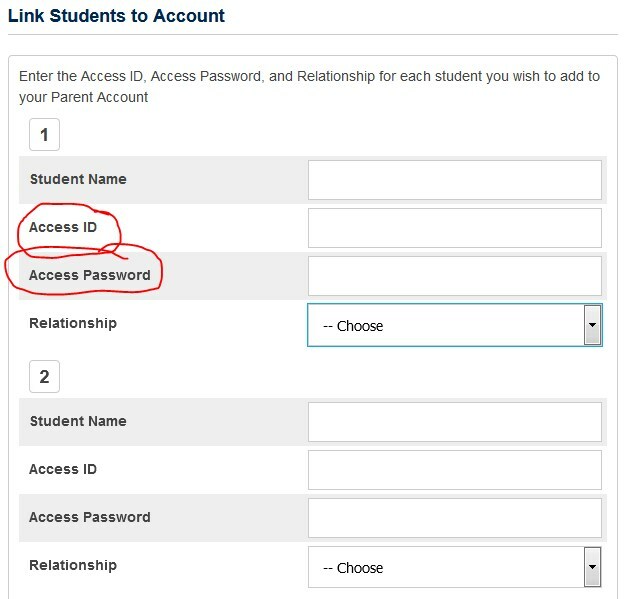 Where it says “relationship” please put your relationship to the student (mom, dad, grandmother, grandfather, etc.) If you have more than one child that attends CCC, you can enter each student here. You will be able to see all of your children when you log in with the username and password you created. 6) Once you have entered all of your children, please scroll to the bottom of the screen and click “Enter”. 7) You have created an account! 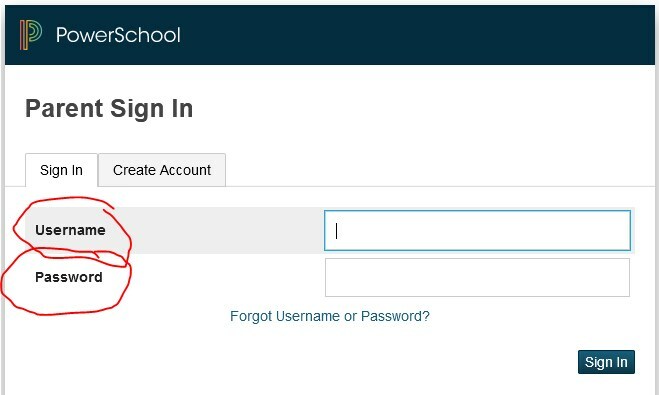 Return to the home page and this time log in with username and password you created in Step 4. Remember, do not use your access code and password here either. 8) You are all done! You should now see a screen with your student’s name at the top and a grid containing their grades.If you have more than one student, you should see each of their names in the top left corner of the screen. Clicking on the student's name will show you information for that student. Thank you for your patience! If you have any questions or concerns, please email our Administrative Assistant, Amanda Ralph, at aralph@charlottechoicecharter.org.